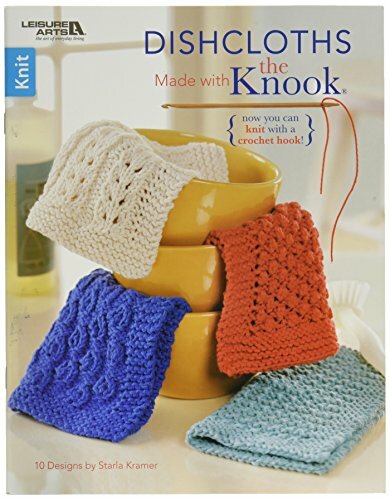 LEISURE ARTS-Dishcloths Made With The Knook. Whether for yourself or as gifts, these ten fabulous dishcloths will look great in any kitchen. Each pattern includes a color photograph and written instructions. Also included are general instructions for how to knook. Designer: Starla Kramer. Softcover, 36 pages. Made in USA.